Through our extensive work with organisations of all sizes, we understand that many businesses prefer not to operate in a multi-tenant and public cloud environment. This is predominantly due to internal policies, industry compliance legislation or just personal preference. So why partner with eStorm for your cloud environment? At eStorm, our Private Cloud is a fully managed, high performance, secure and customisable solution. Our Private Cloud solution provides you with dedicated virtual machines for your own private use. Client security is vitally important to us. This is why we include a virtual private network and dedicated firewall. This provides a secure network between your office(s) and your cloud hosted servers. We work together with you to understand your specific needs, current infrastructure and goals. We assemble a strategy for leveraging private cloud computing so you can drive business growth, competitive advantage and focus on what you do best. From personal cloud storage to establishing servers, implementing / updating software licenses and patches or configuring network equipment - we can do it all. If you’re moving current infrastructure to managed private cloud hosting, or just getting started - our experienced team will take care of it for you. Fully customisable—the ability to tailor machine specifications to your requirements means being able to choose processors, memory, OS, storage type, back ups etc. This gives you a greater degree of control over infrastructure performance. Increased security comes in the form of a private cloud VPN (Virtual Private Network) coupled with a dedicated firewall to provide a secure network between your office(s) and your cloud hosted servers. 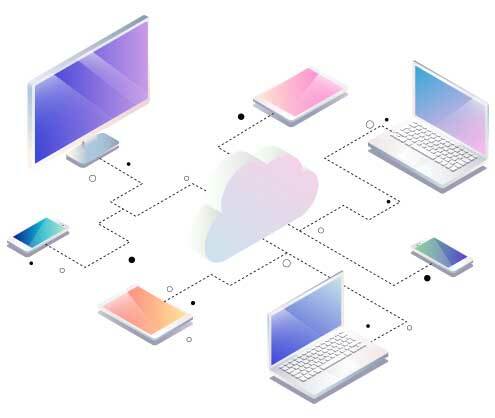 Infrastructure as a Service (IaaS) is a type of cloud computing that virtualizes basic computing resources, such as storage and servers, and provides them over the internet. IaaS enables you to reduce organisational IT costs, reduce IT personnel, utilise the latest and greatest IT resources and launch new infrastructure quickly, efficiently and cost effectively. IaaS enables you to design and customise your IT environment to fit your current needs, all while remaining scalable into the future. This freedom and flexibility allows you to only pay for exactly what you need while transferring the burden of establishing and managing your IT environment to eStorm, your trusted IaaS provider. If you're looking for an easier, faster and more cost-efficient way to operate your workload without having to buy, manage and support the underlying IT infrastructure - then eStorm's private cloud services are exactly what you need. A private cloud is comprised of computing resources used exclusively by a single organization or business. Private Cloud is a secure and high-performance solution available for businesses seeking the added resilience of having their infrastructure, servers and storage housed within a secure data centre environment.